You may have noticed my absence and to be completely honest I haven't been writing because I got a case of bloggers block. I was uninspired, constantly traveling, and have been working like crazy. 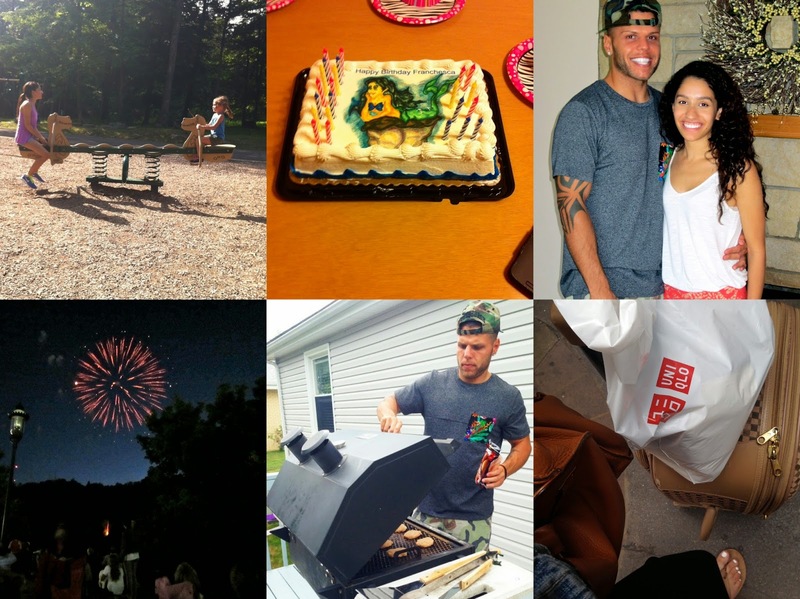 I blog because as a hobby [explaining this to people is kinda awkward, lol]. So please forgive me... I'm sure you didn't miss me too much. So what have I been up too? Well the last time I posted I was traveling for my birthday. I went to visit the boyfriend and well that trip was amazing!! So my boyfriend has a daughter and he finally let me meet her [big step!!] So just about everyday of the trip we were at the park or at the pool which was super awesome cause I can't remember the last time I was so active. We had tea parties, makeovers, and played nail salon. I had such a good time on this trip! I was so nervous to actually meet her, because what if she didn't like me. Luckily she did, but I think its kinda hard for a five year old to not like someone. I got in on my birthday so we had a little birthday party was was super cute. My boyfriends brother drew me as a mermaid and they had it transferred onto a cake, they know me so well, I LOVED it! Fouth of July rolled around and that was as typical as fourth of july gets, BBQ, Parade, Fireworks, yup typical. I had actually planned my trip around my boyfriend's daughter's birthday. She had an amazing birthday and it was so much fun, I think I found the kid in me. Though my trip was amazing reality hit and I had to come back to work. 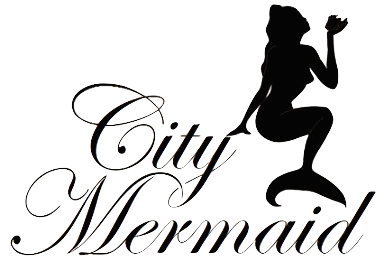 So thats what I have been up to and I'm feeling a bit more inspired now, so expected to be flooded with some City Mermaid content! 2 comments on "Allow Me To Re-Introduce Myself..."
That cake is soo cute! Glad you find some inspiration and are blogging again.